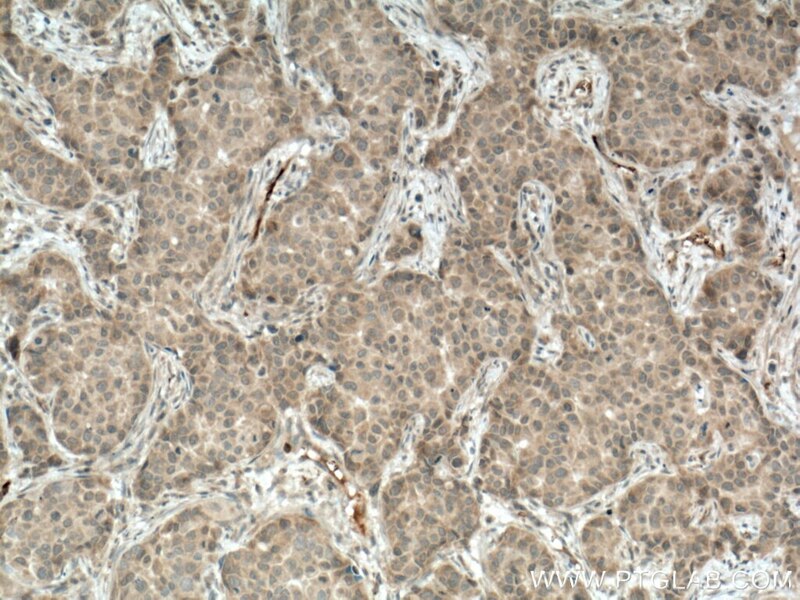 Immunohistochemical analysis of paraffin-embedded human breast cancer tissue slide using 13198-2-AP (CA1 antibody) at dilution of 1:200 (under 10x lens) heat mediated antigen retrieved with Tris-EDTA buffer(pH9). 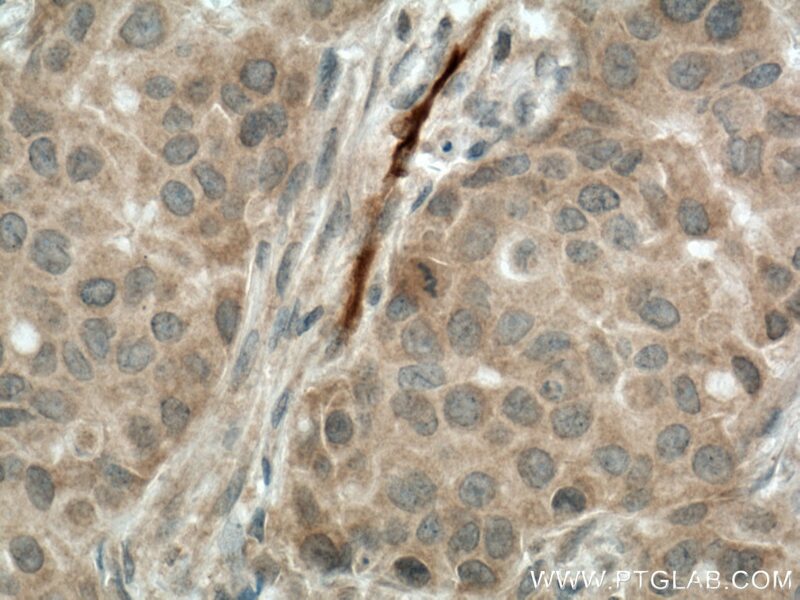 Immunohistochemical analysis of paraffin-embedded human breast cancer tissue slide using 13198-2-AP (CA1 antibody) at dilution of 1:200 (under 40x lens) heat mediated antigen retrieved with Tris-EDTA buffer(pH9). 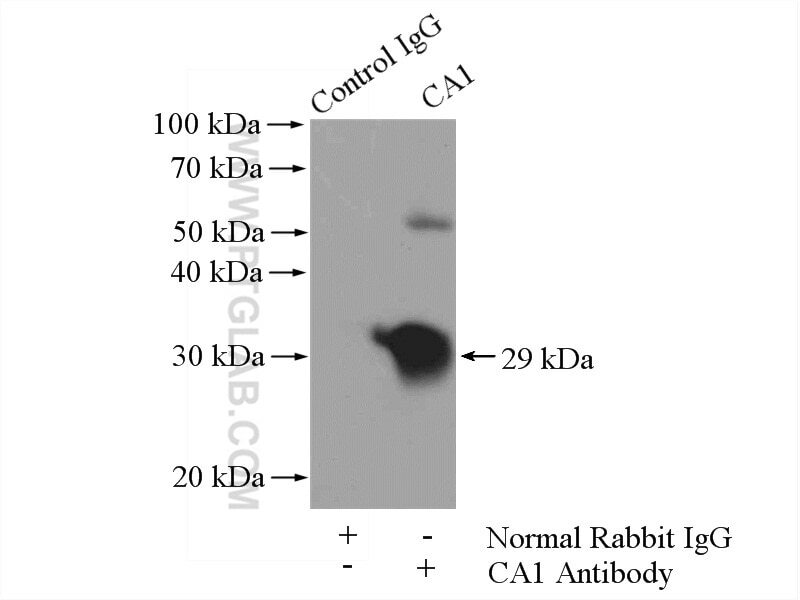 IP Result of anti-CA1 (IP:13198-2-AP, 4ug; Detection:13198-2-AP 1:500) with K-562 cells lysate 1200ug. 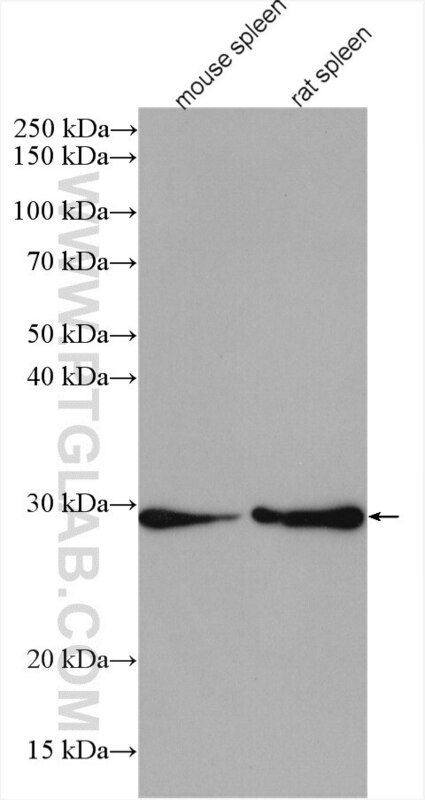 CA1(Carbonic anhydrase 1) is also named as CAB and belongs to the alpha-carbonic anhydrase family, which may reside in cytoplasm, in mitochondria, or in secretory granules, or associate with membranes in cell. It forms a large family of genes encoding zinc metalloenzymes of great physiologic importance. Extracellular CA1 mediates hemorrhagic retinal and cerebral vascular permeability through prekallikrein activation(PMID:17259996).